MainAll NewsInside IsraelFirst ‘Intifada’ Victim: Is Our Blood Less Red? 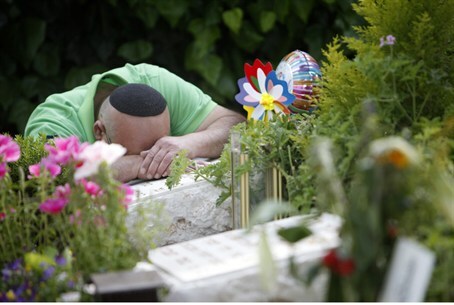 First ‘Intifada’ Victim: Is Our Blood Less Red? Victims of terrorism are hurt by decision to remember just soldiers at new memorial. Supreme Court will not intervene. The Ministry of Defense is building a new memorial in Jerusalem’s Har Herzl cemetery to commemorate fallen soldiers. For some, the planned memorial is a painful reminder that their own suffering merits less recognition. Terrorist attack survivors, and those who lost loved ones to terror, have called on the government to include victims of terrorism in the memorial as well, but their appeals have been rejected. Many of the soldiers whose names will be included in the new memorial did not die in combat, he noted, while there are victims of terrorism whose deaths were heroic. “The weight lifter Yosef Romano, who carried the Israeli flag at the Munich Olympics and was cruelly murdered, is considered less than a fallen soldier. The civilian who ran to save soldiers in the attack at Beit Lid and was murdered is less than a fallen soldier,” he said. “Can we discriminate between blood and blood?” he asked. Kalmnovich was the first victim of the “first Intifada,” a wave of firebombings, rock attacks and shootings targeting Israeli soldiers and civilians that began in 1987. His car was hit by a firebomb and he suffered severe burns over much of his body. An advocacy group for victims of terrorism filed suit to the Supreme Court over the planned memorial, arguing that the government’s decision not to include victims of terrorism as “fallen in Israel’s wars” was discriminatory. “The distinction between fallen IDF soldiers and those who fell in terrorist attacks is, we argue, an artificial distinction,” they said.